The Lake District and surrounding areas of Cumbria are rich with transportation history. From ancient trackways over the mountains, Roman roads, and the old cattle drover routes to 19th and 20th century railways (now mostly gone) and motorway there's enough to keep the transport enthusiast busy for a lifetime. When I first set up the store I used the term "road and rail" to describe this category, sadly forgetting that transportation in the Lake District has always included the water. Since then I've had to change its name as several books on waterways (both lakes and canals) have been added. 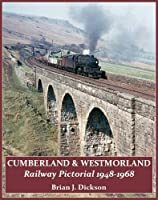 For anyone wanting to dig further into the history of railways in Cumbria I suggest a look at the website of the Cumbrian Railways Association. Here is a link to their publications page.